I could probably review an ‘ABC’ alphabet app every day and be kept busy for a year – there are oodles out there. We’re a little a bit choosier, picking the apps that are illustrated beautifully or have something extra to offer. Cartoon ABC by Kid’s Academy Company is all bells and whistles. What sets this alphabet app apart from others is the fantastic animations and impressive sound effects. 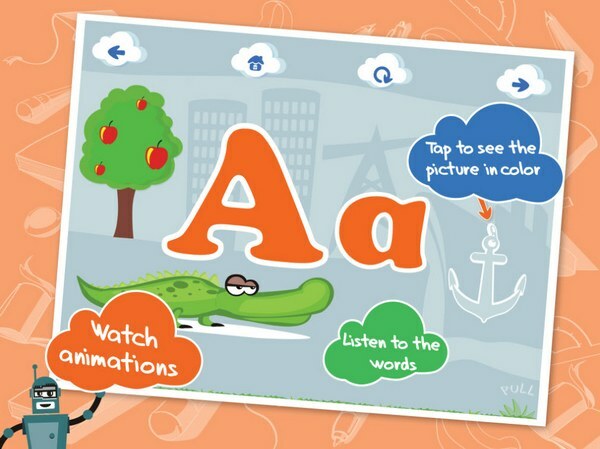 Cartoon ABC introduces the letters of the alphabet and words beginning with that letter in a random flashcard format. The format is simple but the short animations that go with each letter are detailed and good fun. For example, for the letter ‘H’, a hippopotamus introduces the letter and pictures of a helicopter and a hammer hover in the background. Tap the pictures and they spring to life – the hammer hitting a nail and then the letters of the word ‘hammer’. True to its name, the graphics have a strong cartoon quality and are bright, eye-catching and original. 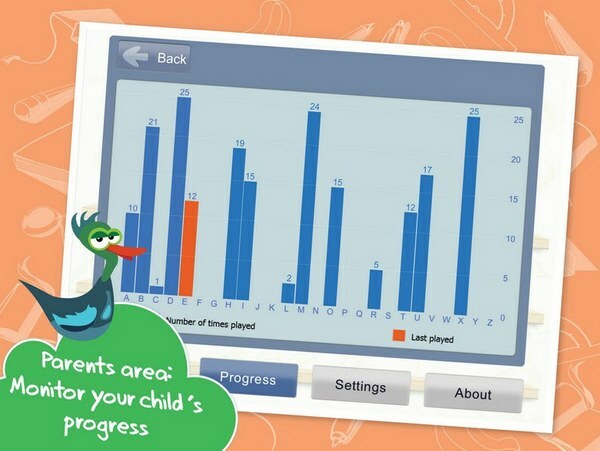 There is an interesting feature for parents built into the app – you can see which letters of the alphabet your child has ‘played’ the most and which ones have been overlooked. We’ve been heavy on the letters ‘P’, ‘E’, ‘N’ and ‘Y’ at our house… glad to know the five-year-old can spell her name! Cartoon ABC is suitable for children aged two years and over. It’s available for iPhone and iPad via iTunes for $2.99.